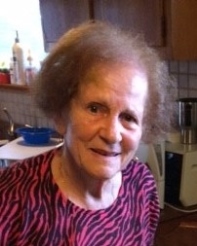 Ioanna Tigiros, 81, of Hixson, passed away Thursday, January 31, 2019. She worked for Parisians as a seamstress for 25 years. She was a loving mother and wife. Survivors include her husband, Andreas Tigiros of Chattanooga; daughter, Eleni Tigiros of Chattanooga; son, Elias A. (Sharon) Tigiros of Chattanooga; Andrew C. Tigiros of Nashville. Visitation is 4:00-6:00 pm Sunday with Trisagion at 6:00 pm at Lane Funeral Home~Ashland Terrace with Father Stavros Ballas officiating.